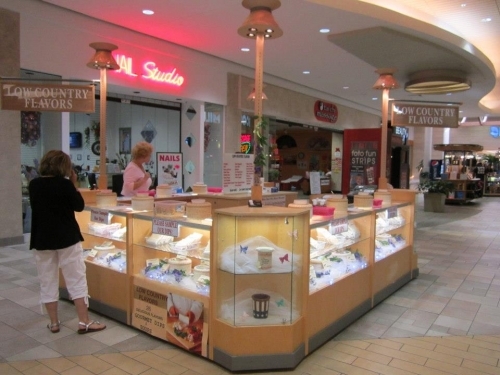 Easy to find and a joy to peruse, the Myrtle Beach Mall is a little north of the Highway 22 and Highway 17 intersection. You can’t miss the two-acre Bass Pro Shops Outdoor World store that serves as a rustic anchor with a mountainside lodge feel to it and features Islamorada Fish Company Restaurant, saltwater aquarium and wildlife displays. Get wheelchairs and discounted tickets to local theatres from Myrtle Beach Mall’s guest services. Open daily.